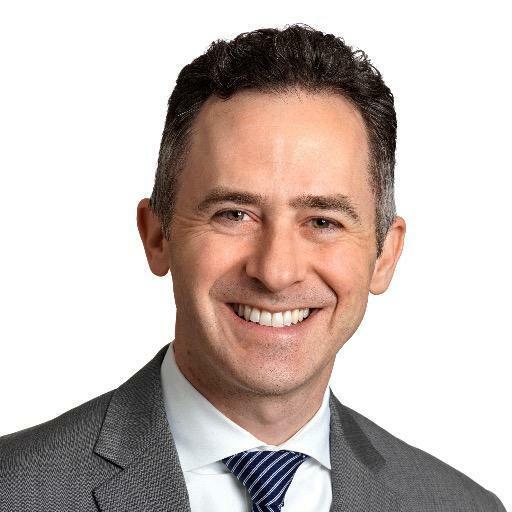 Richmond Public Schools Superintendent Jason Kamras delivered an optimistic message in his first State of the Schools address — even though the district has the worst graduation rate in Virginia and more than half of its schools lack accreditation. “I wasn’t sure where to begin tonight because it’s been such a quiet year at RPS,” Kamras said Tuesday, laughing as a picture of a nearly two-foot-tall stack of newspapers showed on the stage’s screen. “How many times did we grace the front page? Well … there you go,” Kamras told more than 200 people in the auditorium of Martin Luther King Jr. Middle School. Jokes aside, Kamras celebrated the steps RPS has taken in the last year to improve several issues plaguing the district. These efforts included renovating bathrooms in deteriorating buildings, working to correct student transcripts, improving chronic student absenteeism (down 2 percent from last school year), engaging in advocacy measures and increasing teachers’ salaries by 2 percent. Despite the progress made, Kamras said the district still has work to do. Fewer than half of RPS schools are accredited, and Kamras said the city’s graduation rate is the lowest in Virginia. “There is absolutely nothing broken about our students … We [the adults] are on the hook for those statistics, not them,” Kamras said. Dreams 4 RPS is the five-year strategic plan born from 170 community meetings and input from over 3,000 participants. “This isn’t my plan. It’s not the board’s plan … It’s our plan because it reflects the hopes and dreams of everyone in the RPS family,” Kamras said. Dreams 4 RPS features five priority areas: teaching and learning, staff, school culture, family and community, and infrastructure. Each priority is divided into action steps, 40 total, that outline specific goals like hiring more male teachers of color and introducing hands-on and engaging curriculum. “We can’t expect greatness from our students if we don’t ask greatness of them, and we’re going to raise the bar and ask greatness of our students a whole lot more in the coming years,” Kamras said. The plan also explains the need for increased trauma-informed care. Kamras said 20 RPS students were shot and six were killed in the past 12 months. “Most teachers were never trained to help young people deal with those kinds of tragedies,” Kamras said. He said providing that kind of training is necessary for both student and staff support. In December, RPS organized the March for More, and last month, the district participated in another march called Red for Ed. Kamras said continued pressure on the General Assembly is necessary to increase school funding. With a strategic plan in place and problems to solve, Kamras is upbeat as he looks to the future.